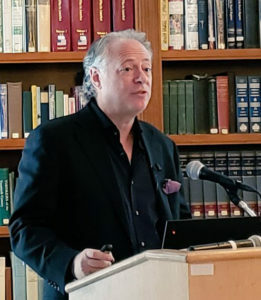 Bruce Biegel recently shared his thoughts on 2019 marketing trends with the Direct Marketing Club of New York (DMCNY). Thanks to the government shutdown, consumer confidence is waning—and that is a concerning prospect for all marketers. 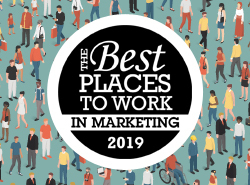 Still, 2018 was a good year for marketing and there is plenty to be optimistic about in 2019. Regulatory issues was the big story impacting marketing in the first half of 2018, while distraction was the theme of the back half, says Bruce Biegel, senior managing director of New York-based global strategic consultancy Winterberry Group. The second half of 2018 was pretty robust, as evidenced by an uptick in digital media use, data and even direct mail volumes. But the prolonged government shutdown had an impact on the stock market and consumer confidence. Winterberry Group analysis of multiple sources shows that marketing and advertising spending rose 5.2 percent in 2018 over 2017. U.S. offline media spending hit $220.98 billion in 2018, buoyed by increases in experiential, traditional outdoor, direct mail and addressable TV expenditures. Declines were seen in magazine, newspaper and in-store media spending. Online spending continued to rise across the board with a 17.1% increase, but growth decelerated slightly, showing a maturity of the market. Spending on data in support of online, offline and TV-related marketing rose 10.8 percent to $20.09 billion. Martech growth continues, not only in the acquisition of new tools by marketers but in the adoption of the tools they’ve already invested in. “As you get further into the adoption curve, people take advantage of platforms, get beyond the basics and start to see the benefits,” he says, noting that investments will continue as technology matures and becomes commoditized. According to data compiled by investment bank Petsky Prunier, marketing related M&A activity totaled $186.6 billion last year, with 3,318 transactions recorded. The vast majority were in the digital media/commerce space ($99.71 billion), while marketing technology accounted for ($39.1 billion). Another variable marketers should be concerned are the recently implemented, or soon to be implemented privacy laws looming in the U.S. and around the world, requiring marketers to be more transparent about how they are collecting, sharing and using data. The EU’s General Data Protection Regulation (GDPR) went into effect last May, while the California Consumer Privacy Act (CCPA) will go into effect January 1, 2020. The second annual U.S./European Privacy Shield GDPR Implementation Review found that while close to half of marketers say their policies, procedures and documentation are now in line with GDPR, only a third are confident that they can identify all the data they have on each person. “Someone in DC needs to get us national privacy regulation that is reasonable—anything up to GDPR is reasonable, compared to CCPA,” he notes. Marketers need to be more proactive on data-related regulatory issues, Biegel feels, particularly when the possibility exists that they could have to deal with a variety of different sets of rules in different states. Large online presences like YouTube or Amazon are in a place where they could comply with new privacy regulations simply by requiring all visitors to opt-in to receive their content or services, he notes. They’re more likely to have people willingly opt-in. The sites that could get hurt are the small to medium-sizes businesses that simply don’t have the power or popularity to do that. 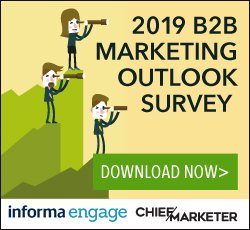 When asked to look into his crystal ball to predict the fortunes of marketers in 2019, Biegel said to get back to him at the end of March.